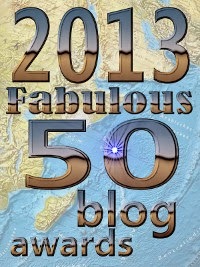 I have been named as one of the 2013 Fabulous 50 Blog Award Winners. An annual award by Doug Ross. “Best Blogger in a Group Blog:” very flattering. Perhaps not, strictly speaking, true – RedState is very much a cooperative effort, and we do a lot to support each other – but still very flattering. My thanks. Out of… 150. Well, at least Doug Ross was nice enough to give MoeLane.com a participation prize*. Seriously, it’s nice to be on the list of the top 160 conservative sites, even if it’s supposed to be the top 150. Terrifying for the Republic, but personally fulfilling from my point of view. *RedState is at a much more respectable #41 ranking. Whew.